Tourism company fly east oldest was founded in 2003. Since then, we provide our customers with a wide range of tourist destinations in the Far East, cheap prices and attractive, while maintaining a professional service, courteous and on a personal note. 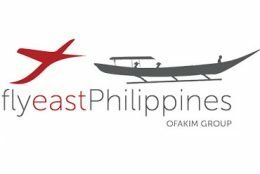 Has always been firm fly east was made up from experts destinations Far East who can advise and provide information and comprehensive service in all matters relating to the East: cheap flights to the Far East, international flights between destinations in the East, domestic flights many objectives, hotels, tours, attractions, romantic vacations and more. company fly east is considered the trailblazer in the field of tourism and is changed the rules of the game in the tourism industry in Israel dramatically. From January 2012 our company became part of a group of Horizons veteran who is leading the tourism market in Israel since 1979. Recently fly east acquired ‘Nehora Torres, through which we offer flight services and tourism to the rest of the world, with strict promise of low prices and especially attractive, the highest class hotels and attractions and many more. In addition, we are careful to create partnerships with the best service providers in the East when our vision is to lead the tourism market in Israel to destinations in the Far East and provide the best service and the most competitive pricing.